Back in February, I introduced the Slice of Life Challenge to my 9th-grade students. I challenged each of them to blog for 31 days in March (and required each of them to blog at least ten times during the month). There was a lot of moaning and groaning when I handed out the assignment. 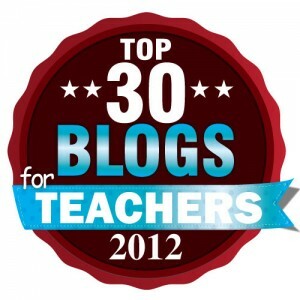 Today is the last day of the challenge and the majority of my students blogged for all 31 days! Many of them posted reflections today, and I’ve been tearing up while reading them. They’ve learned so much during this project and it makes my heart grow three sizes bigger. I love that they get to know each other better by reading and commenting. I love that I get to know them better. I love that they become better writers and build stamina. It’s honestly one of the best projects I do in my class. I don’t repeat many projects from year to year, but Slice of Life is a non-negotiable for me. Now that the month is over most of my students will stop blogging, but a few will continue on their own. I have a student interested in starting a book club, a student interested in starting a music review blog, and a few looking into current events/politics blogs. How awesome is that? Here’s a tree covered in tens of thousands of monarch butterflies. Start saving copies of the print NYT now, because our April Student Contest will be about creating blackout poems from any page of any NYT students like. I am exhausted, but also inspired! Today I attended the NJCTE annual spring conference. It was held at Ridgewood High School, which is a hike from my house. (Side note: the high school looks like a castle!). The presentations were great, but I was most excited about presenting Ibi Zoboi with the 2019 Becker Award. Ibi’s books are some of my favorites and she is a recent transplant to NJ! Her speech today, about remixing the canon, was inspiring and epic. I was honored to introduce her to the attendees. And I was lucky enough to read her upcoming middle grade novel. I highly recommend it! My first turtle sighting of the season. It’s hard to see him/her, but there were a few sunning themselves in the lake! A trio of mallards in the pond. They were in the weeds until we came along and Dublin decided they needed to be heeded. A great blue heron hunting at the back end of the lake. Two Aussies trying to fish in the lake. It was frozen and cold most of the winter, but Navan walked right in today! It was over 50° and gorgeous today! Blue skies and a light breeze, it was perfect weather for a hike after school. Spring has sprung! My first pairs of Rothy’s are arriving tomorrow. Rothy’s shoes are made from recycled water bottles and I’ve been anxious to try them. When I found out they offer a teacher discount I finally placed an order. If you aren’t a teacher they have a referral program; if you use my link, we both get $20 off! I finished some grading tonight. Woohoo! I still have way too much grading left to do before grades are due, but progress is progress! NJSLA testing (what used to be called PARCC) is only 2 days this year!!! The weather has been gorgeous lately. I really like winter, and I’m still sad we barely got any snow, but it’s been 50 degrees and breezy these last few days. Who doesn’t enjoy blue skies and a cool breeze? Plus, now it’s light out until after 7pm! I can walk the dogs after school without worrying that it’s about to get dark. I’m working on revisions for a piece I submitted to a few places. I got feedback from one editor and will resubmit (as requested) after I revise it. This week is still crazy, but the next few days are a little calmer. Thank goodness!! Things ramp up again over the weekend, and they stay crazy until next Thursday. Phew! I don’t think I’ve done a list entry so far this month, so it’s about time for one. This week is crazy and time is not on my side. How amazing Angie Thomas’s On the Come Up is. It took me a little bit to fall in love, but 90% of the way through and I’m blown away. Last night I had trouble sleeping and I’m paying for it today. My kids are wrapping up the Slice of Life challenge and are starting to reflect on it. Two of their reflections made me tear up. I just put a hold on Pete Buttigieg’s book at the library. I love that his husband posted that they are both Hufflepuffs (according to the official Pottermore quiz). So this is what it’s like when someone from my generation runs for president? I’m probably on some sort of list at the library because I constantly recommend that they purchase new audiobook titles. Seriously, I do it more than once each week. Tomorrow night I have to remember to participate in the #nerdcampnj twitter chat. The NJCTE spring conference is this Saturday and I need to start preparing. I have so much grading to do. I have so many books to read! I submitted some writing to a periodical and I’m anxiously awaiting a second follow-up response. I think it’s time for me to hit the hay. I need more than 4 hours of sleep tonight. One of my (volunteer) side hustles is therapy dog work. Dublin is a certified therapy dog, and we try to make at least one visit per month. He loves therapy work and is looking forward to our monthly reading events starting up again. I’m also a certified evaluator for our program. This means I test prospective owners and dogs after they complete their therapy training class. I had a last minute test tonight so I had to head over to the shop around 8pm. The test went well, but I was mostly excited to hang out with some of my favorite dogs. While waiting for the training class to end I hung out with two giants-a German Shepherd and a Bernese Mountain Dog. Both are convinced they are lap dogs, so they spent a lot of time trying to fit in my lap. Needless to say, my two were very suspicious when I got home. I got sniffed up and down as they tried to figure out why I smelled like their friends. Luckily, a treat distracted them!